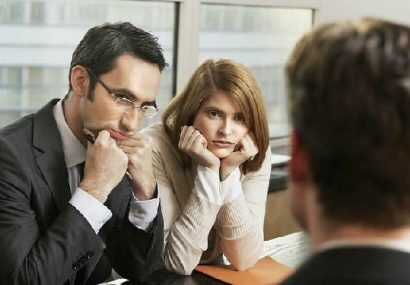 Most Common Interview Mistakes - What NOT to do in an interview? What Are Your Strengths? How to talk about your strengths? The Interview Attitude – How to succeed in a job interview? Most Common Interview Mistakes – What NOT to do in an interview? Teamwork job interview questions and answers – How to Answer Teamwork Interview Questions? This of course means that you need to know about their history (when they started), their locations (nationally and internationally) and most importantly you need to know about their vision, values and their culture. So many people leave this out but these are the MOST important things you need to know about a company. Their vision is their view of their ideal self, now or in the future. Their values are the beliefs they hold of highest importance and their culture is created by the kind of people they employ and the way that they work. For example, “our company has a really work hard play hard culture”. This means that the people generally work hard during the week and party on the weekends. Now when you know this – you need to explain and show how you fit into it. In today’s world we are lucky that we can use the internet to find people even before we have met them! It’s a very good idea to know something about your interviewers because this will help you to understand their experience and where they are coming from. It can also help you to find links and similarities between you and the interviewer which you can use to make a connection. For example, you know that the interviewer studied at the same university as you did and if you feel that it would be appropriate to mention during the interview it could spark a nice conversation between you both. Linkedin or public business information is an appropriate way to gain some information about your interviewer but don’t look them up on facebook or social media and certainly don’t try and add them as a friend! Identify the top skills, strengths and overall value that you can bring to this company. Do I have the right skills for the job? If there are any skills that don’t completely match the job description, think about whether they will strongly impact you from performing the job well. If not, then say yes. Am I worthy of being hired? This might sound like a silly question but actually it can have a great impact on your job search. You need to have self-confidence and believe in yourself otherwise why would a potential employer? Would I hire myself I was this particular employer? Now you are becoming more specific and if you answer YES to this question you can go to the interview feeling genuinely confident because you know they should hire you! If you want to make a good impression then you should be able to say more than the standard “you are a reputable company… international company”. That is what 80% of the interviewees say. If you really want to show your interest, then you can go much further by talking about many other things. For example: Their culture, vision and values, their dynamic character, their increasing growth, their initiatives and staff incentives, the career opportunities they offer, responsibilities that will enhance your skillset, their products and services, their positive impact on the world, their multicultural environment, opportunities to re-locate internationally in future etc. However, be careful not to convey that the perks of the job are your top motivators for applying! Your true motivation for the job should not be for focused on rewards of the job but for the job and the company itself. Have a clear understanding of your future goals and motivations. Understanding the motivations of a candidate is critical for any employer as this shows whether they will be a long term fit for the company. Companies invest a lot of money into hiring new staff and so they need to do their best find staff that are likely to stay long term. So how can you show this? If your resume already shows that you have a history of staying with a company for two or more years then that is a good start. If you don’t, be prepared to give good explanations as to why this has not been the case. You then need to be able to clearly explain what kind of work you are looking for at the moment and what your future career goals are. Be prepared to tell at the interview where you see yourself in the next 2-5 years. Whilst many people don’t really know exactly where they will be in the next five years and I have to admit that this is one of my less liked interview questions, you need have some kind of idea and show motivation to develop your career. As the quote says, “If you don’t know where you are going, you will probably end up somewhere else”. Did you know that an interviewer will form a direct impression of within a number of seconds you based just on what you like? This might sound harsh, but if you don’t put effort into your appearance it won’t reflect anything positive about your character. Make sure you plan what you are going to wear to the interview in advance rather than waiting till the night before to realise that you have a stain on your suit jacket! For most corporate jobs, females should wear to a job interview light makeup, use soft tones and colours and males should wearto a job interview a suit jacket and tie. One tip for the men is not to overspray cologne. I have seen many cases of men spraying too much which made me feel really toxic whilst in the same room! The same goes for the ladies. Look up the address and give yourself plenty of time to arrive to the interview. Allow time for potential problems like a delayed train or difficulty in finding a car park if you are driving. You also want to allow time to relax after you arrive, clear your head and gather your thoughts so that you can be in the right mindset. If you have to run because you’re late you will risk walking in looking like a sweaty mess and your confidence levels will be down. On the other hand, make sure you don’t walk into the office too early. You should really not walk in any earlier than 10 minutes before your interview is due to start as this can ‘throw off’ your interviewer who may be having a busy day. I cannot stress the importance of this. Whatever statement you make in an interview about yourself, you need to be able to prove with examples. If you say you are a strong communicator, explain how, if you say you are highly organised explain how, whatever you say, be able to prove it. When it comes to talking about behavioural skills you also need to be able to give specific examples rather than just general examples. As you can see this is a specific example. You then need to go on to explain, the action you took and the outcome. Answering behavioural questions can take up a large part of the interview and the way you do so can “make or break” your interview. For more information on how to answer behavioural questions get in touch with Daniela. Sorry let me re-phrase, have GOOD questions prepared. Imagine this: you have nearly reached the end of your interview, everything seems as though it’s going really well and then they ask you, have you got any questions for us? Questions you think? I’m supposed to ask questions? There is an awkward silence and the best thing you can think of is “Is there a cafeteria in the office?”. You’re interview just went down by at least 20%… So you don’t want that to be you! Think of it this way: You don’t just want to ask questions at the end of an interview because it is part of the general process, but because you should want to know certain things before you actually decide to make a huge decision to commit yourself to a company. It’s common sense really and those who don’t ask questions seem as they are more desperate than those who don’t because they are happy to take whatever they can get. So think about asking things that you are genuinely interested to find out about such as the company culture, training, or long term career opportunities to name a few. Don’t ask questions about salary as the company or your recruitment consultant should bring this up with you at some point. You can find out your salary value by speaking to a recruitment agency or online through a current salary guide. Your value to the company goes far beyond the position you’re applying for. A “senior marketing manager” with 10 years of experience, an entrepreneurial background, and proficiency in both graphic design and basic programming is going to be worth more than a “senior marketing manager” with five years of experience and not much else on the table. All those peripheral skills you’ve been developing over time do have an objective value, so don’t neglect to include them in your calculations. Also consider the fact that your value to the company should be based on more than one year of contributions-how would you improve this company in the future?